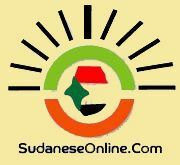 Khartoum, March 22 (SUNA) - The Minister of Minerals Dr. Ahmed Mohamed Sadiq Al-Karuri has said that the Russian investments in Sudan have been developing steadily, particularly in the field of mining, in which a number of Russian companies operate. The minister described, during a meeting with the Russian ambassador in Khartoum and the officials of the Russian Koch Company Tuesday, the company's performance as good, asserting that the company finds a particular concern from the top leadership in the state. Dr. Al-Karuri pointed out that the government would work to pave the way for the company to perform its duties in a good environment, stressing his ministry's readiness to solve all the obstacles facing it. For his part, the representative of Koch company said that the company did not face any obstacles or problems with the relevant authorities. The Russian ambassador in Khartoum revealed, in statements to the press, that their meeting with the Minister of Minerals touched on the joint cooperation between the Russia and the Sudan in the field of mining, especially gold production by Koch company, pointing out that the meeting was attended by officials from the company coming from Moscow to discuss report on the progress of work with the ministry and its future plans. Meanwhile, Deputy Director of Koch Company Leggie Bacnicov stressed that his company presented the regular report on the current situation of the company's gold production to the Minister of Minerals, revealing positive results on the work at the company after the company worked to increase the gold production at its block located at the Red Sea state . UN renews the mandate of the U.N. Mission in South Sudan (UNMISS) for six months.